I began touring the floral shops on Friday morning. I’d never been so nervous in my life. It was the first time I was on my own on one of Grandmother’s weekend tests. Only Porter was with me, but he was just driving. I had to go into the shops all by myself. The owners all treated me with respect, but I knew it was only because I was a Lockhart, granddaughter of their boss, so it wasn’t like they could terrorize me, especially if they wanted to keep their jobs. I introduced myself using a speech I’d practiced for hours. It sounded horribly rehearsed and trite, and I messed up by stuttering many times. The shop owners were patient with me, but I knew they were only putting up a front. Inside, they were probably all disappointed to finally meet the heiress of Splash and Spray only to discover she wasn’t at all like they’d pictured. By the time we got to our last visit, I was exhausted and grateful that this was almost over, especially when I read the name of the last floral shop I’d have to visit. It was Ms. Daphne’s nursery. The main office wasn’t too busy, with this being a holiday weekend. The bell jingled as I opened the door, and the smell of fresh tea leaves instantly occupied my nose. The tall woman with coffee-colored hair who’d helped me last time greeted me from behind the counter. “Oh, hello again,” she said. I was surprised she recognized me. As the woman disappeared into the back area, I walked around the gift shop, enjoying that I finally could have some quiet alone time after such a horrid day. I admired the little garden trinkets on the shelves. There were pretty painted flower pots and kitchen window decorations—figurines of little ducks and rabbits, and tiny signs painted with the names of herbs and flowers that could be used to set in the soil of a newly planted garden. I stopped to admire a dainty tea set, with tiny fruits painted on it, and the bell at the front door tinkled lightly, barely registering in my head. And just as I was wondering how much the set cost, I heard a dreaded voice right behind my head. I whirled my head around, heart pounding, and stared right into the face of The Bulk. That was exactly what I’d hoped. This past month had been strangely quiet and devoid of any activity on The Bulk’s part. I thought he had learned his lesson from Marcus, but I should have known it wasn’t the end. It never was in manga. The bully never bothered the protagonist until she was alone, and then he struck. And this month, the four thieves hadn’t left me alone for a moment in the public realm, until now. The Bulk must have been biding his time, stalking me and waiting. “What d-do you want from me?” I cursed myself for showing my fear by stuttering. “Well Emma Hartley, if that’s really your name, me and Dad’ve been doin’ some research after Old Cantin fired him,” he said. “Dad and I,” I couldn’t quite resist the urge to correct his grammar and cursed myself again. But I couldn’t help it. I was beginning to realize that my quirks showed more whenever I was nervous, and The Bulk was making me very nervous. Then it registered that The Bulk said his dad had been fired. Which could only mean he was looking for revenge. I gulped, feeling sick to the stomach. “Get to your point,” I interrupted, not interested in the screwed-up fantasies built in his head. “Co-owner?” the woman blinked, looking entirely bewildered. I tried to beg her with my eyes, winking frantically. Hopefully she didn’t think I had some nervous tick. The Bulk stared at the woman so sullenly that for a moment, I thought he might completely disregard her authority, but then finally, he picked up his feet and trudged out the door. I breathed a sigh of relief. I’d known it was highly improbable that she knew I was Emmaline Lockhart, but I wasn’t worried if she did know. After all, that was the reason for my visit. “Miss Lockhart!” the elderly owner came swinging out from the back room, her arms open wide as she came to give me a hearty hug. I returned to hug wholeheartedly. And then I heard the other woman gasp from behind us, and both Ms. Daphne and I turned to see her as white as a specter. My brow furled, trying to puzzle out what she meant by that. How did who come to know me? The name jilted me forcibly, and it all suddenly made sense. I’d recognized the woman’s piercing, deep, dark, almond-shaped eyes the first time I’d met her because they were the same ones Marcus had. “Mrs. Lew,” I breathed out. I was staring directly into the face of Maggie Lew. We sat at one of the tables in the café, and since there wasn’t much business this late in the afternoon, I was sure we wouldn’t be bothered. Although I was supposed to be talking business with Ms. Daphne, that was far from our topic of discussion right now. Marigold’s, or Maggie’s, secret was out, and I demanded to know her whole story. I listened as she explained how she’d been so depressed that she turned to gambling to soothe her pain. At first she’d won just enough to want to play more, but after awhile, she started losing. A small debt became a little bigger until it was insurmountable. She was too scared to tell her husband or in-laws, so she ran away, intending to hide. For months, she was homeless and lived in her car. Then one day, she passed out on the street, and that was where Ms. Daphne found her. 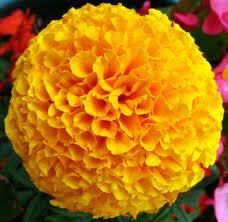 Ms. Daphne sensed something was wrong the moment she saw Maggie, who said her name was Marigold. The older woman knew Maggie was hiding something, but she didn’t ask any questions, just gave her a job and a place to stay. Eventually, Ms. Daphne discovered Maggie’s addiction to gambling, and she helped Maggie quit. Maggie had been living with Ms. Daphne ever since. I didn’t realize I was shouting until Ms. Daphne placed a hand on my shoulder. It was only then that I knew how much I was really affected by this. Because of my own mother’s abandonment. Maggie was beginning to cry, but I could feel no sympathy. “Because I just can’t,” she cried desperately. “I can’t face them after everything I’ve done. Besides, even if my husband wants me back, Marcus would never accept me. And I would never be able to endure that rejection from my own son.” As soon as she said this last bit, she burst into tears. “After another fifteen years?” I replied sarcastically. I stared into Ms. Daphne’s pleading face and sighed. “All right,” I agreed. Ms. Daphne had a point, after all. I’d tracked down the missing woman for Captain Lew, and I definitely didn’t want her to disappear again. I thought maybe Maggie’s problem was that she hadn’t yet forgiven herself, so she didn’t think her family could forgive her either. Maybe the key was to see if Marcus had it in him to forgive his mom. If he did, then I could tell Maggie that her son wouldn’t reject her if she went back. “Shame and bashfulness,” I declared. I sighed, realizing how important this was to her. I promised her I’d do my best. But now I had a new problem on my hands. How was going to give Marcus these flowers without making him suspicious? There were pink flowers in my locker. I stared at them, wondering what was up. Who’d put them there? Who in the world would have a crush on me? I stopped short, suddenly thinking about that Halloween night, when Emma had given me a gardenia but told me she would give me a flower with a real meaning later. Was it possible these peonies were from her? I spotted Emma walking through the hall and stopped her. She seemed strangely nervous to see me. She sent out a rather nervous peal of laughter. “Why would I know what a bundle of Paeonia is doing in your locker?” Her eyes darted this way and that, anywhere but at me. Very suspicious. I narrowed my eyes, trying to judge if she was telling the truth. She was looking directly into my eyes now, and it seemed she wasn’t lying. And thinking about it now, I didn’t think she’d give me a flower that meant bashful, unless she really did harbor a secret crush on me. Since there was no way that was possible, I’d have to trust her on this one. Maybe some other girl in the school liked to communicate with flowers. I shrugged it off. I’d find out the truth sooner or later.